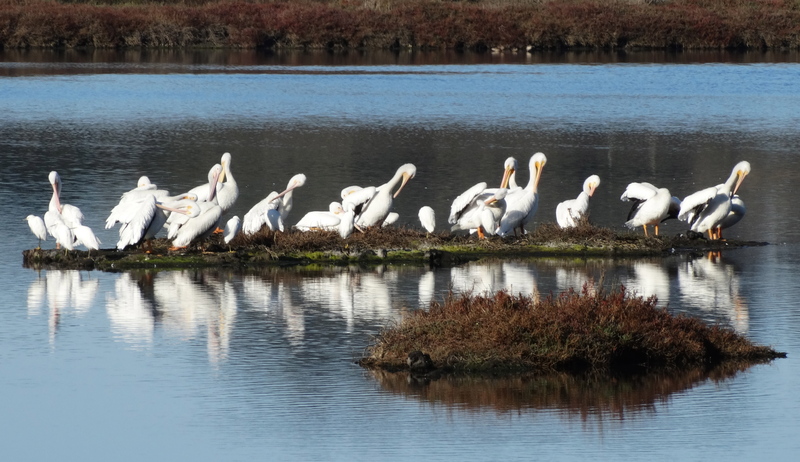 Flocks of White Pelicans stole the show today on our Kirby to the Coast kayaking exploration of Elkhorn Slough. Conditions were ideal as an ebb tide carried us effortlessly to the coast winding through an intricate maze of tidal creeks. 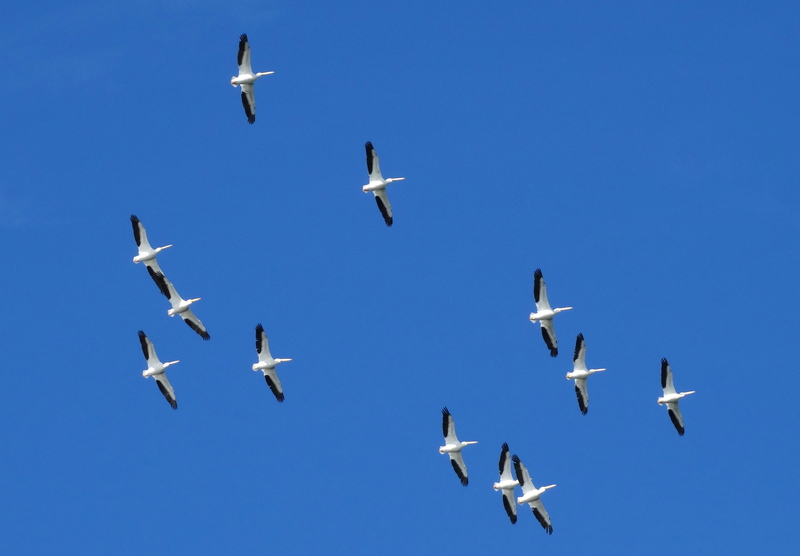 Unlike the Western Brown Pelicans which are plunge divers, White Pelicans feed by scooping fish with their bIlls. They are known to work cooperatively together herding fish using their large bodies to form a net. Concentrating the fish within a “net of birds”, they then take turns scooping up a meal. With a wing span of nine feet, they are an impressive sight. Join us as we paddle throughout the winter in Elkhorn Slough and beyond at http://www.bluewaterventures.org.